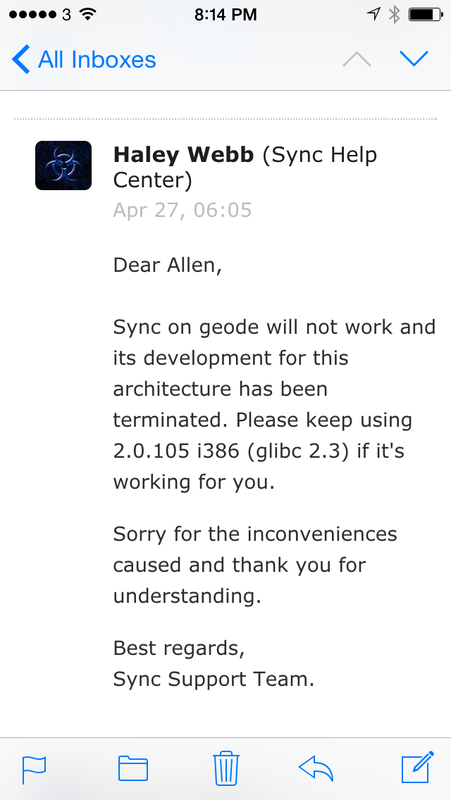 Just got an email form help desk shows the support of Geode is ended. The current version will be the last one which can work on such a low end device. Actually, so far as now (2.0.124), the latest version is still working normally. lol. By believing the ad from Drobo, I brought a Drobo 5D June 2013. I installed a Plextor PX-128M5M as an SSD Cache and 5 WD30EFRX for storing with 2 disks redundancy. For using with OSX, I format it with HFS+ in Drobo Dashboard. After 2 weeks, it’s failed. The partition cannot be mounted, neither fixed by OSX. After checked by engineer from DiskWarrior, I know the partition is too severely damaged and not possible to recover. I contact the support of Drobo. After 45 days waiting, I get the respond. The problem is partition-related (offset) and should be fixed by firmware 3.0.5. But the my Drobo 5D is shipped with firmware 3.0.7. Finally, the Drobo says there is no way to repo in the lab, and I lost all my home videos for 5 years. For preventing this issue again, I rebuilt the partition and sent the log to Drobo engineer. After checking the log, the engineer confirmed it’s looks great now. Should I worry about WD software? I guess not. for mSATA SSD cache thing, the PX-128M5M removed from the supported list, without any explanation, and not be put in to incompatible list either. It’s just gone. After I tell the support I didn’t use WD software but Drobo Dashboard and prove the PX-128M5M WAS on the compatible list by searching mirroring sites, Drobo does like before, just ignore you and do not reply any more. Now, this Drobo 5D is on my shelf to warn me and my friend: NEVER BUY THE DROBO PRODUCTS.